The air felt heavy as dusk approached, an errie quiet after a day of torrential rain, the atmosphere tense as everyone in the marina awaited the coming storm. The remenants of C﻿yclone Debbie, the cyclone that has been reaking havoc across Eastern Australia is now over New Zealand. 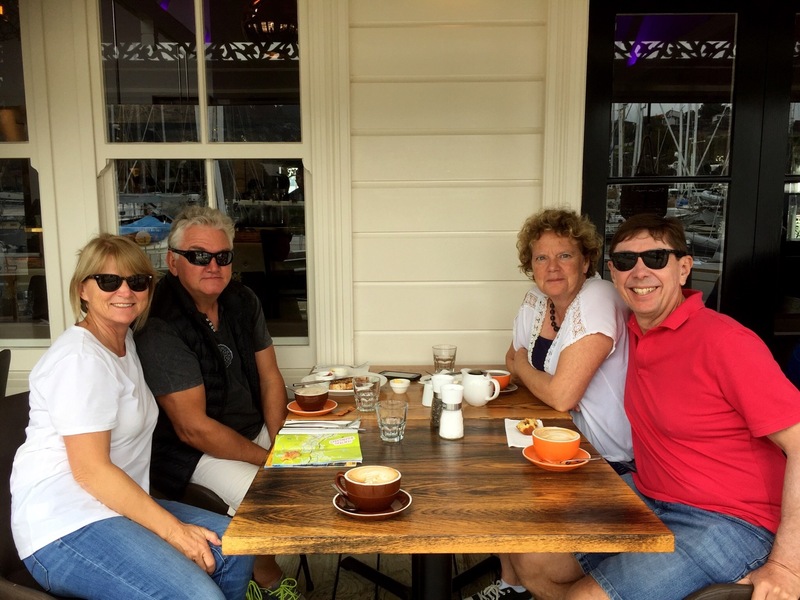 We are back in the Bay of Islands Marina in Opua, the location of the start of our New Zealand adventure nearly six months ago. A good place to sit out the bad weather but not quite where we wanted to be. The last month or so, especially with guests onboard, it has really emphasised how much our lives are determined by the weather and tides. Having been away from ‘cruiser world’ for a while it was nice to spot a few boats we knew in the Basin Marina and bump into a few faces we knew on the boardwalk. Everyone’s talk turning from their plans in New Zealand to weather windows and preparations for the sail back up to the tropics. However, first we have a few more weeks cruising left here to enjoy. Sunday we had planned to sail up to Tutukaka Harbour to join a dive boat out to the Poor Nights Islands and their reputed world class dive sites, but the weather and tides had other ideas. 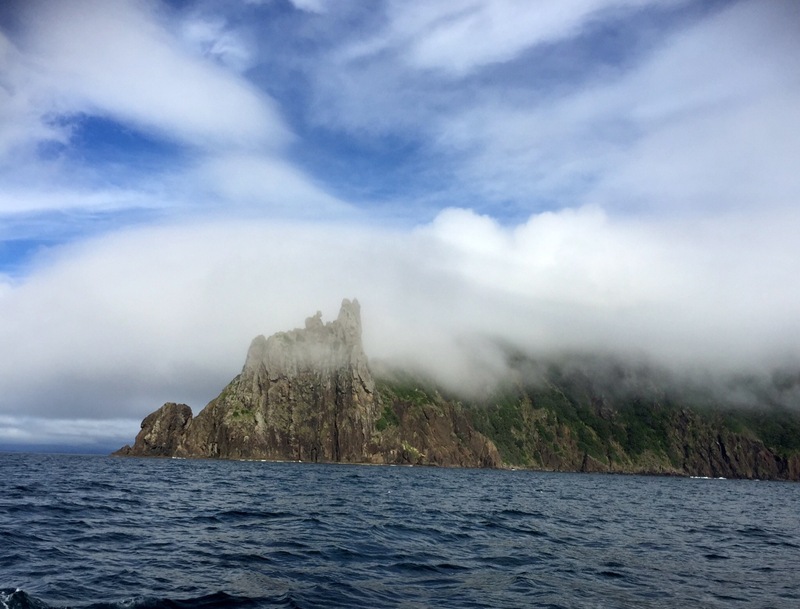 The forecast for wet stormy weather had come forward a day, from Wednesday to Tuesday, and the combination of north winds, large swell, torrential rain and shallow water restricting movement within the harbour, persuaded us to push on up to the Bay of Islands. It was quite a long days sailing, so we slipped into the first anchorage we came to – Deep Water Cove. The sun held out long enough to tempt even me in for an invigorating swim in the clear, dark blue water. We were the only boat in the bay and there were no buildings in sight, the silence only disturbed by the bickering Pied Cormorants roosting in a couple of Pohutukawa trees. 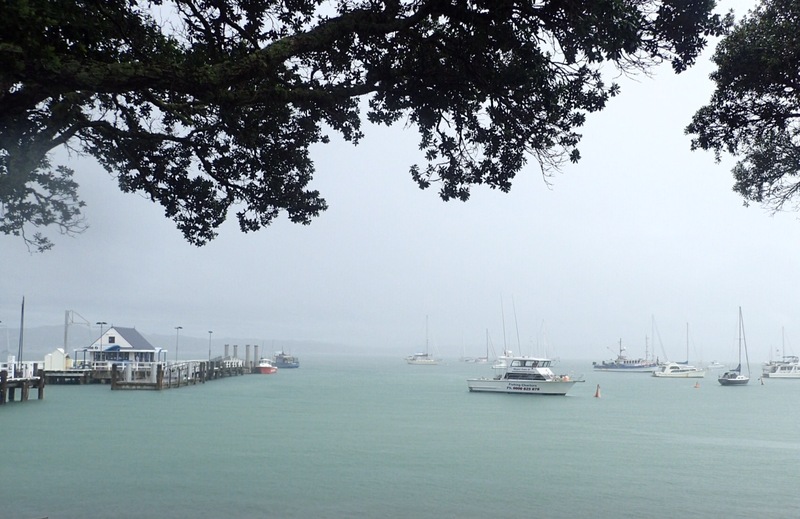 It was another lovely spot and it was with regret that we left Monday morning to catch the high tide to ensure safe entery﻿ into Opua Marina. A less than perfect docking at the berth set the scene for the next couple of dreary grey days. Tuesday morning the heavy rain arrived as promised, one of the reason for coming into the marina was so we could at least get off the boat, we hired a car with Taryn and Greg and drove to the small town of Russell. Russell is easily reach by car ferry from Opua but I thought I’d been told the long way round, the hour route around the Wikare Inlet, was a nice drive. In retrospect I think I was told it was an interesting drive and interesting it certainly was. The tarmaced road quickly turned into a bumpy gravelled track that twisted steeply up and around the hills of Russell Forest with generous amounts of rain added into the torturous mix. Russell a picturesque seaside town was very soggy, so we headed for the Pompallier Mission building as a dry option to pass the time. It was set up by Bishop Pompallier to print and disperse bibles and prayer books, written in Maori, in their drive to convert the locals. Inside we were treated to a fascinating guide to the production of these small books, that included the original press, the binding rooms and the tannery that produced the leather to cover each volume. The storm did bring plenty of﻿ rain but the winds were not as bad as forecast﻿ and we seemed to have whiled away the couple of days quite easily, copious amounts of tea have been drunk and our Bridge skills rekindled after some thirty years of dormancy. This entry was posted in New Zealand by Roz. Bookmark the permalink. I wonder who Russell was?